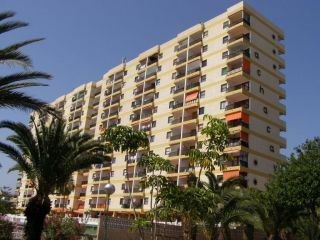 Nice apartment situated in the Achacay Apartments in centre of Los Cristianos and very close to the seafront. 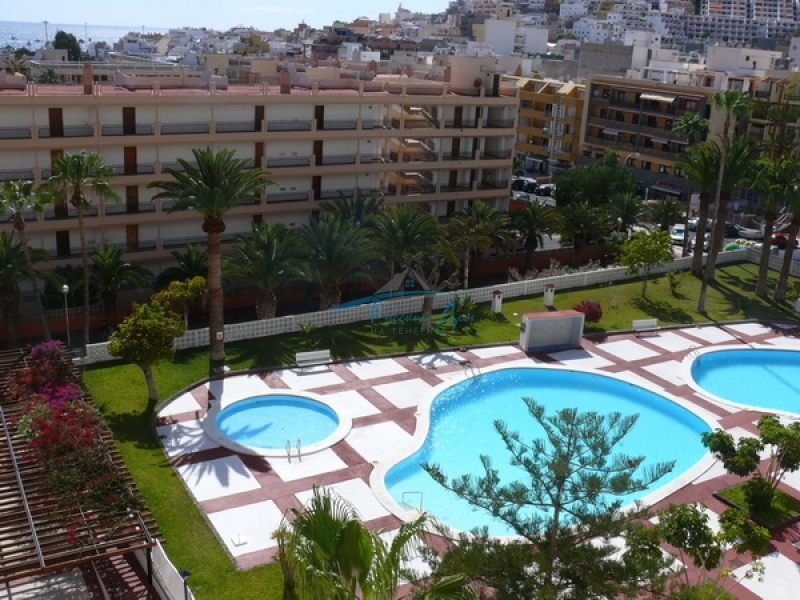 This apartment has 2 bedrooms, 1 with a double bed and 1 with twin beds, 1 bathroom, a fully fitted open kitchen, lounge/dining room and a balcony with views to the swimming pool and sea views. 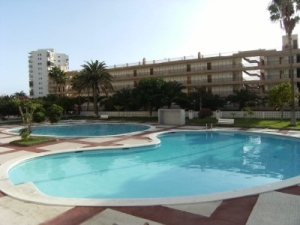 It is located on the 10th floor and there is an elevator in the building, a 24 hour reception, lovely swimming pool and tennis courts. The apartment is nicely positioned being near everything. 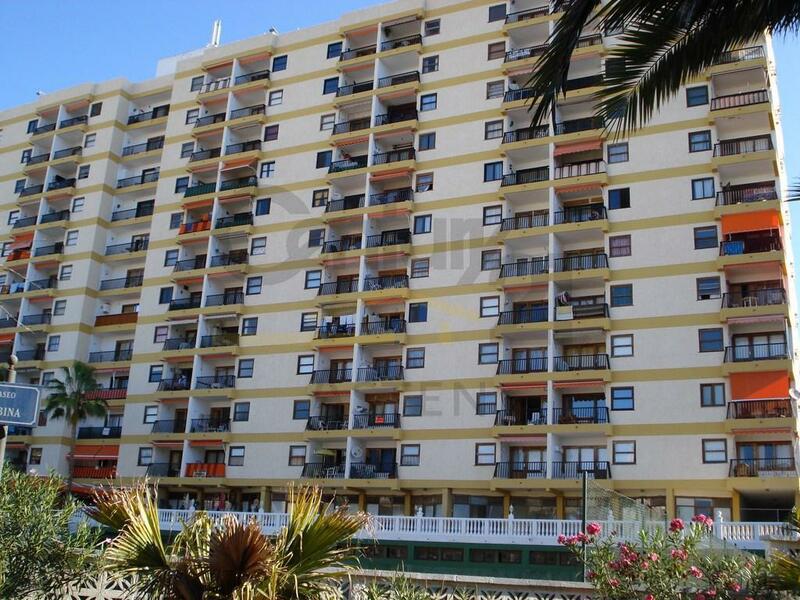 Nice apartment situated in the Achacay Apartments in centre of Los Cristianos and very close to the seafront. 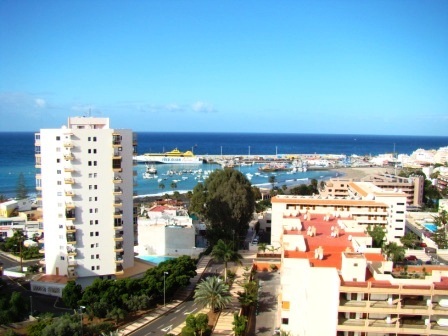 This apartment has 2 bedrooms, 1 with a double bed and 1 with twin beds, 1 bathroom with a Shower and a Washing Machine, The kitchen is a closed room, the table to eat in the livingroom, the Kitchen has a Oven, Hob, Microvawe and vitrocooking. 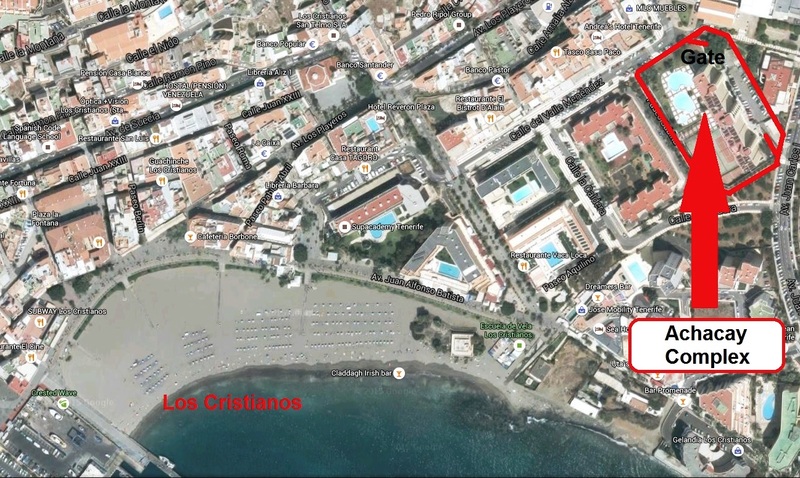 The Lounge Area has a Large TV with Spanish Freeview Channels, (Some English Speaking Channels). There is no wifi but there is free wifi in a room near the reception. 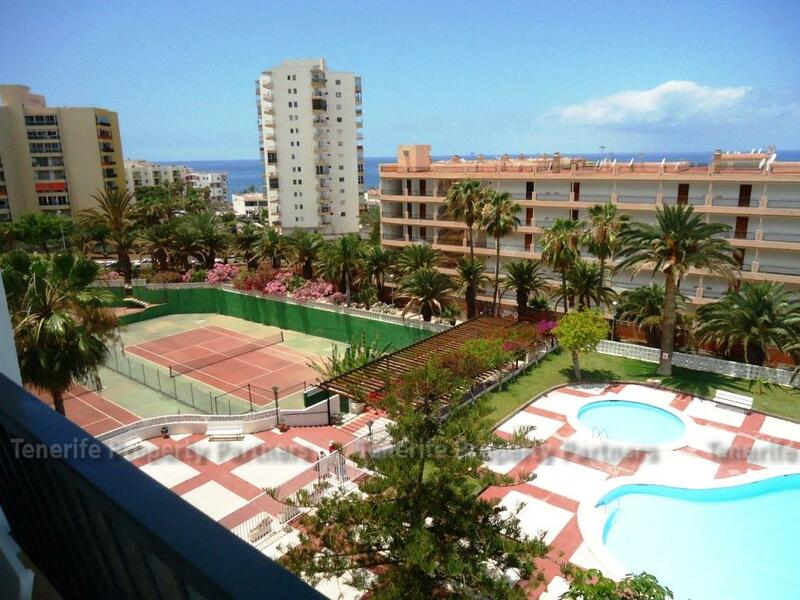 The lounge/dining room balcony has views to the swimming pool and sea views. 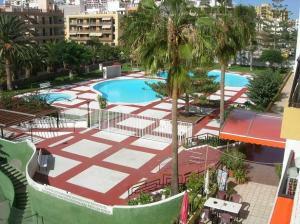 It is located on the 10th floor and there is an elevator in the building, a 24 hour reception, lovely swimming pool and tennis courts. 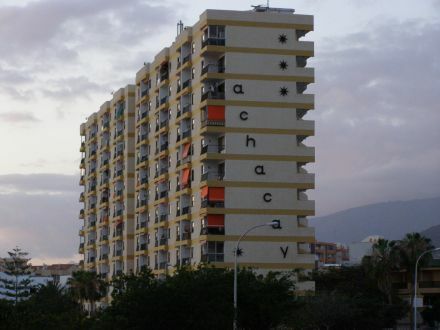 The apartment has No complex parking but easy to park outside the complex.